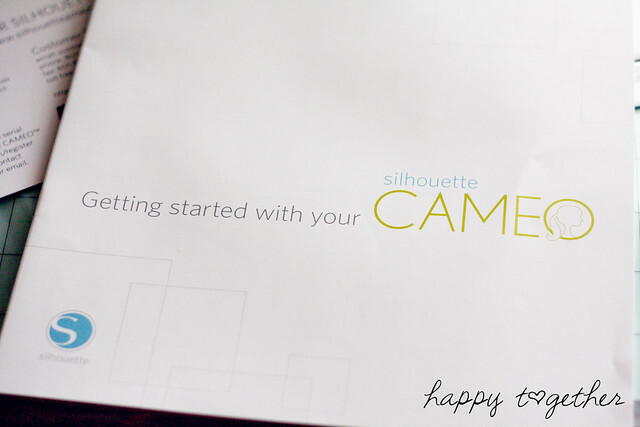 Did you know that the new Silhouette Cameo is out? Let me tell you, it’s even better than the Silhouette SD. They just sent one to me and I’ve been having some fun with it. 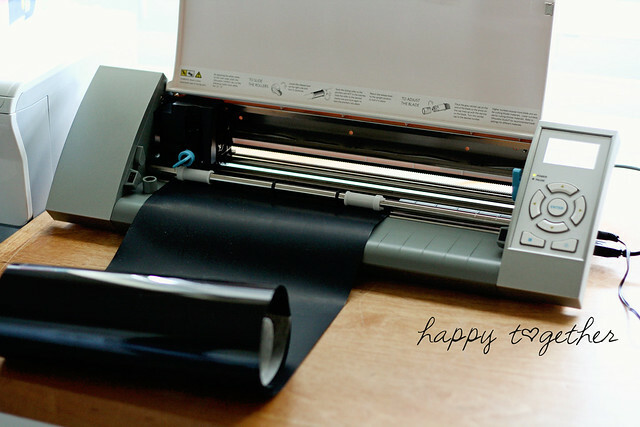 If you have never heard of the Silhouette Cameo, it’s an awesome machine that cuts out shapes/letters/pictures from paper, fabric, vinyl, and more! 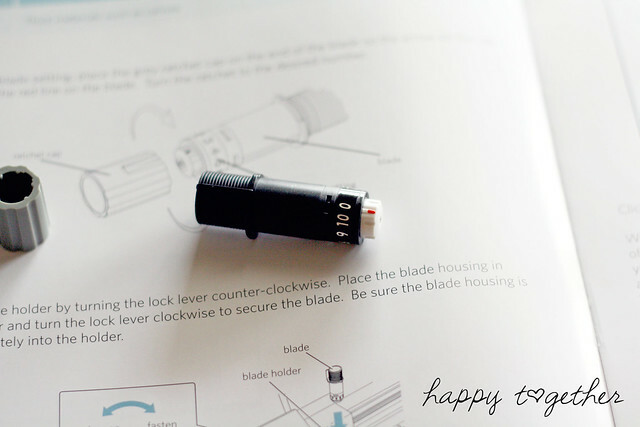 I have used it to cut quite a few different things and it’s always worked great. 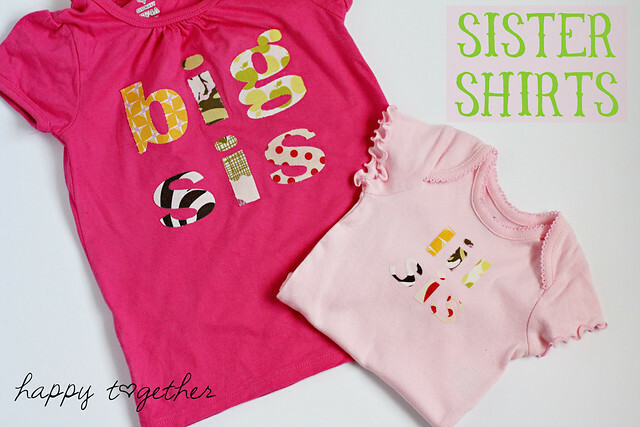 In the above picture, I used the Cameo to cut “big sis” and “lil sis” letters from fabric that was ironed onto fabric interfacing. 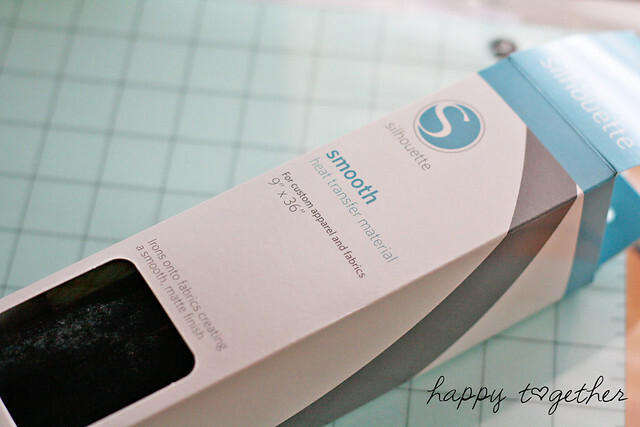 I used my own interfacing that I had on hand, but you can find fabric interfacing from Silhouette here. They have two kinds to cover various needs. A new thing I just tried was using the smooth heat transfer material. 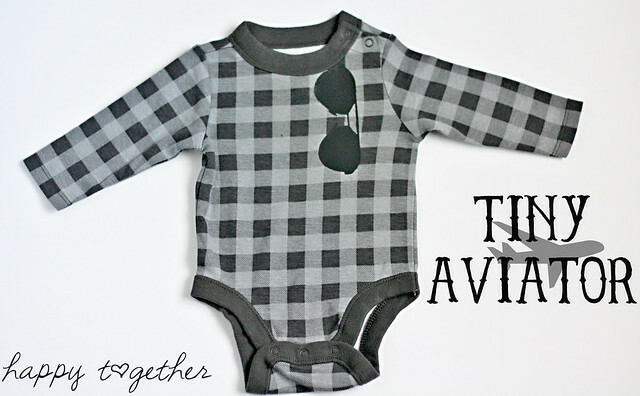 I created my own silhouette to create the aviator glasses to go on the onesie below. This is of course a baby present for a friend. The smooth heat transfer material worked really well and looks very professional. I like it and have some more ideas for it. The Cameo comes with everything you need to get rolling. It has a great book that explains things clearly and with pictures. I like it when instructions add pictures. 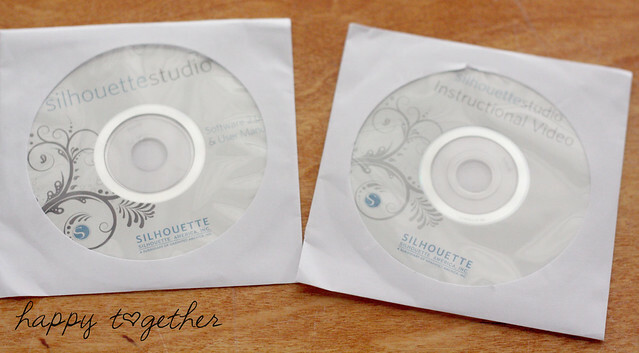 It also comes with two discs: one is for the program and the second is a instructional video. I watched the video and it was really helpful. They give an overview of how to use the Cameo and it lasts for no more than 15 minutes. But, if you even need more help, they have tutorials online and other individuals have things posted on the internet as well. Some of the differences I really like are how much bigger the machine is for cutting purposes, the way they made it so you only need one changeable blade for every project, and the updated program. I love it when companies always try to make their product better instead of the the “if it ain’t broke, don’t fix it” attitude some can have. Before I go, I just wanted to share real quick how I created my own silhouette to be cut out. 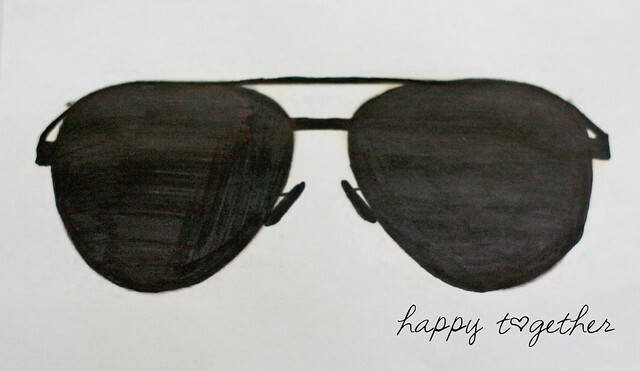 They do have an online store of where you can buy lots of pictures to use (they even offer free ones all the time), but they didn’t have a pair of aviator glasses. 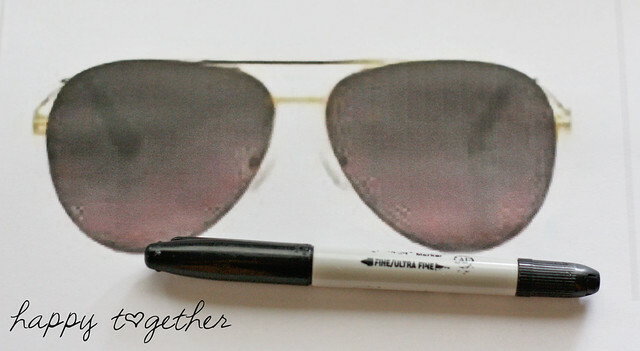 So, I first found a pic of what I wanted and colored it in with a sharpie. Then I scanned it into the computer and opened it in the Silhouette program. Then I chose the “trace” choice that is on the top right of choices. I boxed it and it created the red lines around it (I had to box the whole thing and then the spot in between the two “lines” at the top of the glasses). Then I deleted the picture so only the red lines were left and sent it to be cut. Be on the look out for a special discount for Happy Together readers for Black Friday 🙂 If it’s on your Christmas list, I suggest you remember to check back for this special! I want a cameo so stinkin’ bad! I’m definitely going to keep my eye on that discount. Santa might just be bringing me one this year (well, at least a friend in USA coming home to Australia for Christmas will bring it home for me) Can’t wait! You are a pro at the silhouette! I just got the Cameo and it won’t let me import other file types!? Still trying to figure that one out…anyhow love your stuff! What’s the difference between the Cameo and the Cricket machine? Ive never heard of the Cameo. I’m not sure about all of the differences, but the biggest that I can see is that for the Cricut you have to buy cartridges to do the cut outs. Where as the Cameo allows you to cut whatever you want out using a program on your computer. You hook the machine up to the computer to get it to cut. They have an online store with all kinds of “pictures” you can buy to cut or you can upload your own.